The holiday season is here! And if it&apos;s the holidays then shopping is high on everyone&apos;s to-do list. What kind of shopper are you? Are you someone who prides herself/himself for thoughtful, handpicked gifts for your friends and family? Or do you go for gift cards? If you see yourself in the first group, then I have some good news for you! 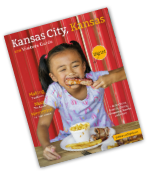 Every family has a foodie, and food and beverage gifts that are also local to Kansas City, KS is a win-win for sure! I decided to round up some unique items for the food-lover in your life. Let’s begin with some wine, shall we? Rowe Ridge Vineyard and Winery is located north of Legends Outlets Kansas City. Owner Pam Rowe makes you feel right at home when you walk in. The tasting room of the Rowe Ridge Vineyard and Winery is open from noon to 5 pm, from Thursdays to Sundays, and by appointment. Rowe Ridge offers wine tasting flights, which feature 10 different wines and a souvenir glass for you to take home. From full-bodies reds to fruit wines, mild whites to crispy whites, and wine slushies in summer and mulled wine in the fall, Rowe Ridge clearly has you covered! You can&apos;t miss the smell of mulled wine as you walk into the tasting room, and I could not wait to try some! Besides wine tasting and vineyard tours, Rowe Ridge also has a wonderful collection of wine-themed merchandise. How about a bottle of Apple Pear Wine and a mulled wine spice and recipe kit for your wine-loving bestie&apos;s stocking? It all sure made it into my shopping bag that day. With wine tasting and shopping completed it was time to explore the vineyards. Pam mentioned May-June are the months when the vines are in full bloom, but fall had it&apos;s own magic for me. If wine is not your cup of tea, how does spicy sound to you? My next stop was at the factory outlet of Spicin Foods, located along the historic Southwest Boulevard. Spicin Foods is a feast for your senses right as you walk in. The tantalizing aromas and festive colors will send you wandering around and loading your cart as if you are under a spell. I was amazed at all they had to offer! Specialty sauces, snacks, salsas, and so many cute gifts are available for either wholesale or retail price. Special mention goes out to the Cajun Bloody Mary Mix, Da Bomb Ghost Pepper Nuts, Stockyard BBQ sauce and Cayenne Hot Sauce. These definitely found their way into my holiday gifts for friends and family. Last but not least, it was time to load up on the meat! I found wine and drink mixes, snacks and marinades, now for the main course. Krizman&apos;s Sausage is an 80-year-old institution, which has been creating meat delicacies for three generations. How&apos;s that for authenticity? The family-owned business is located in the Strawberry Hill neighborhood. Krizman&apos;s Sausage was founded by Joseph Krizman Sr. and his brother-in-law Matt Grisnik in 1939. You feel like you travel back in time when you go there, with the old-world charm lingering large. You&apos;ve probably tasted their sausages at local barbecue restaurants without even knowing it! Their smoked Polish sausage flies off the racks when the holiday season is here, but you can take your pick from many smoked cuts and fresh sausage. The andouille and the smoked Polish came home with me. The andoulle is a great choice for pasta or gumbo, and the smoked polish should be served with grilled peppers and onions. I needed to re-think my Thanksgiving dinner sides once I sampled the fare at Krizman&apos;s. If the meat was not tasty enough, Krizman&apos;s created their own range of seasoning salts for any meat you want to make at home. Kansas City is my home and I am very passionate about all things local. I consider myself a foodie and an avid shopper, so needless to say I had a great time searching for these foodie finds. Not only were they local, but they were also the perfect fit for my holiday gifts this year. So, where will your holiday shopping begin? 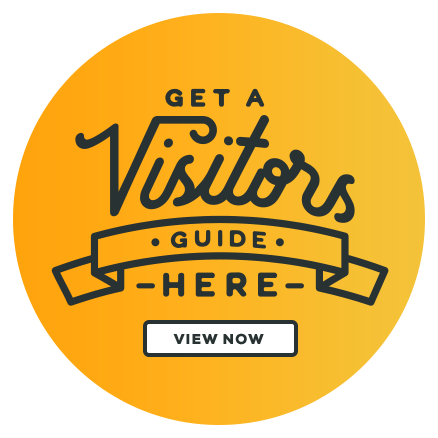 Learn more about all the shopping you can do in Kansas City, KS here!